Most new owners may not know the symptoms of bird sickness because birds can be effective at hiding them. There are a few tell-tale signs that owners should watch for to have the best chance of saving their pet from a life-threatening ailment. If your bird exhibits any of the symptoms or fits into any of the categories below, contact your veterinarian as soon as possible. It's not the most pleasant task to monitor your bird's droppings, but this is a key indicator that something may be wrong. While the color of your bird's droppings will vary slightly depending on what you feed him, you should watch for droppings that are yellow, rusty brown or tarry black. These can be indicators of internal bleeding or other serious problems. You should also notice if there is a major change in the consistency of your bird's droppings. If they are too runny or too firm, it can cause complications for your pet. Birds that sit with their feathers fluffed out for prolonged periods of time are often affected by respiratory problems or other disorders. Ruffled feathers may also conceal weight loss, which can be life-threatening for a bird. If you observe this behavior in your pet for more than a day or so, you should contact your vet as soon as possible. Weight loss can be devastating to a bird's health, not only in terms of reduced strength but inhibition of organ functions as well. Weigh your bird regularly so that you will know if your pet is having trouble maintaining his weight. 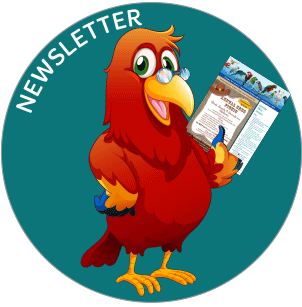 Your bird's cere is what we perceive as his nose; it's the little patch above his beak that holds his nostrils. Pay close attention to your bird's cere. If you observe any redness, inflammation, or discharge, there is a very good chance that your pet could be seriously ill.
Make sure to keep your bird warm on the way to the vet. Likewise, if your bird's eyes look cloudy or have a discharge coming from them, he may be affected by a respiratory, nervous, or muscular disorder. Birds have extremely high metabolisms, so it is vital that they receive adequate nutrition every day. If your bird stops eating and begins to lose weight, it may be a sign of an intestinal blockage or impaction, in which case he could die very quickly without medical attention. Make sure to clean out the bottom of your bird's cage every day before you feed him. This provides an easy way to monitor food consumption, as well as changes in droppings. Respiratory problems are among the most common bird sicknesses, and unfortunately the most serious. If you see your bird breathing with his mouth open while at rest, there is a good chance that he is not only sick but has been for quite a while. This is one of the most serious symptoms of illness in birds, and requires immediate veterinary attention, with probable hospitalization. Birds are, by nature, hygienic animals that bathe frequently and preen their feathers daily to keep them clean. If you notice feathers around your bird's face or rump that appear messy, clumped up or stuck together, it is an indication that your pet could be sick. Food consumption and droppings should be monitored closely for a day or so, and any changes noted and relayed to your vet. As with many common signs of illness in birds, prolonged and repetitive bobbing of the tail can indicate a respiratory infection. Unlike people, birds lack a diaphragm to separate the chest cavity from the stomach. The muscles located at the base of the tail help birds breathe by playing a part in expanding the lungs to take in air. If a bird is having trouble breathing, the tail muscles will work harder, causing the tail to bob up and down. Tail bobbing is often not noticeable until later, more serious stages of illness, so if you see your bird behaving in this manner, report to the vet immediately. Much like humans, birds who don't feel well often become less talkative than usual. Pay close attention to your bird so that you can learn his normal vocalization patterns. If you stay in tune with the way your bird behaves, it's possible to pick up on clues to that way that he feels. If you notice any changes in frequency or general tone of your bird's vocalizations, he should be monitored for additional symptoms for the next few days. It is always better to be safe than sorry. 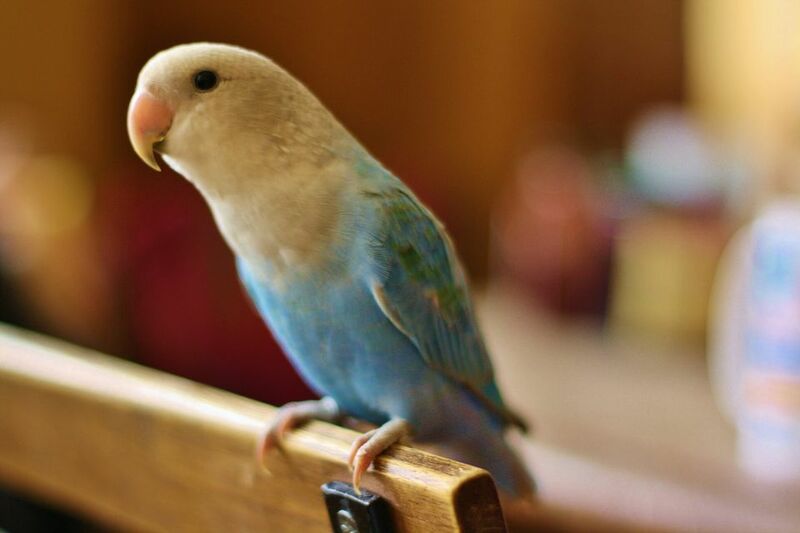 When it comes to your pet bird's health, an ounce of prevention is worth a pound of cure. Birds have very delicate systems, and even a minor illness can turn into a serious threat in the blink of an eye. Early diagnosis can be vital to saving a sick bird's life. Examine your bird daily for any signs of infection, and make sure to keep a close relationship with your avian vet. Your bird depends on you to maintain his good health. Make sure that you keep tabs on his behavior so that you can keep your little friend around for a long time. 1. Look for long feathers. 2. Look for broken blood feathers. 1. Look for cuts or bruises on feet and toes. 2. Look for broken toe nails. 1. Is it dry or flaky? 3. Is there crusting or wet feathers around the nares? 1. Look for signs of discharge. 3. Check for swollen areas around the eyes. 1. Look for discharge or abnormal coloring around the vent. 2. Check droppings; are they normal? 3. Familiarize yourself with your birds' droppings. Be aware of the food that they eat, it can change in color, consistency. Bird's owners will want to be watchful of their bird's health. Annual physical examinations are a good investment. Every new bird needs a complete physical. It is one of he most important examinations of his or her life.